Keep this high-quality Craftsman cap wrench bottle opener easily at hand and you'll never have a problem opening bottles again. 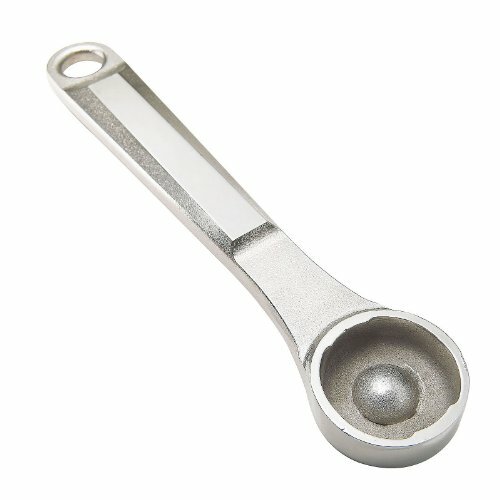 Styled to look like a Craftsman wrench, this bottle opener is designed to pop bottle caps off with minimum effort. Toss it in your kitchen appliance drawer or toolbox, or hang it with your tools by the convenient hanger-hole in the handle. The cap wrench bottle opener is made of steel and carries a forever guarantee. Craftsman quality and durability means you may never need another bottle opener again. Whether you're craving a throwback cola or a drink to enjoy during the game, this bottle opener fits the bill. It's a great addition to your toolbox or your kitchen collection, or ideal for your favorite beverage lover. Craftsman cap wrench bottle opener is made of high-quality, durable steel and styled to look like a Craftsman wrench. Craftsman durability means you'll be able to depend on this bottle opener for many years to come. Handy hole in the handle so you can hang it up with your tools or kitchen appliances. Styled to open bottles easily by increasing your leverage. Backed by Craftsman's Lifetime Guarantee.